So, you´re looking for a Hostel right? Let me tell you about this place that is going to be the game changer in your Atacama experience. 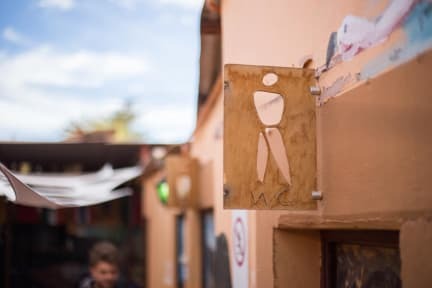 If you are an easy going traveller looking for the most chilled, social, fun and happy place to stay, then, my friend, you have just found it. We have hot showers, wifi, a big comfortable common area, ping-pong, and foosball. Enjoy the view from our look-out during the day where you can see the Death Valley, or at night to admire the stars. We have barbeques about three times a week with options for everybody- meat, vegetarian and vegan! Barbeque nights are a fun and social gathering that brings everyone together over a delicious meal. In reception our staff is highly knowledgable on all the best parties, bars, and activities to do in San Pedro. Just let us know what you are looking for- a local place to eat Chilean food, the best empanadas in town, artisinal beer, karaoke..... the list is endless! We provide tours and special tour packages for guests as well as discount rates for groups. Let us help you plan your Atacama experience to make the most out of your time here! From Valle de la Luna, Lagunas Escondidas to Uyuni- we can help make sure you have a high-quality experience with the best agencies in town! If you still have any questions or doubts, don't hesitate to call and ask. If not, make your reservation now to come stay with us at Pangea Norte Hostal! See you soon! Very nice hostel! Would definitely recommend it! Very friendly staff, great place to relax and chill out. Good kitchen and cooking facilities! A lovely quiet place to spend a few days. We wanted to chill and catch up with family back home and this was perfect. Quiet with great internet. The kitchen was also well equipped and kept super clean! The staff were more than accommodating and helpful! The room was nice, (a little bit dirty...but the whole town is just dusty). Overall a great stay. Good hostel with all the necessities. 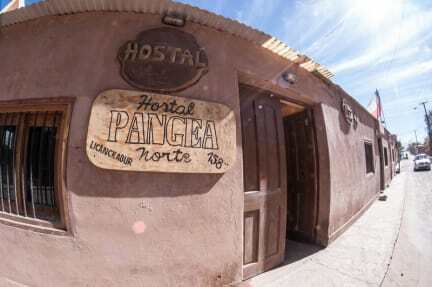 Friendly and helpful staff, close to the main streets of Atacama. Recommended! The hostel is really well located and the staff is amazing and helpfull. Had an amazing stay there and met really nice people! Cool hostel, the problem is that they charged for the TVA tax there, and we paid, but we found out later at another hostel we stayed in that foreigners don't need to pay that tax, so ask before you pay it. Need more careful cleaning under the beds where we store our belongings. Good hostel, nice atmosphere but the common area was very dirty.